See Doug Unger's new story Stepfather in “Narrative” magazine. 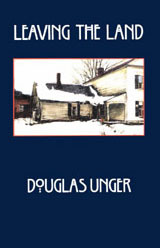 Douglas Unger is the author of four novels, including Leaving the Land, a classic about the vanishing family farm in the American Midwest. Celebrating more than thirty years in print, his landmark work won the Society of Midland Authors Award for best fiction, a special citation from the P.E.N. Ernest Hemingway award, and was a finalist for the Pulitzer Prize and Robert F. Kennedy awards. 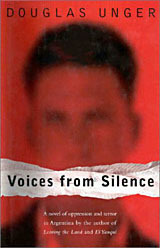 His fourth novel, Voices from Silence, earned a coveted ‘star’ review from “Publisher’s Weekly” and was a year’s end “experts recommend” choice of “The Washington Post Book World.” A new edition of Voices from Silence appeared in 2008 in French translation as Mes frères de sang, from Daniel Arsand/Editions Phebus, with a new ending, “A Project for Memory” that updates this documentary novel of witness about events over the thirty years since the notorious era of oppression and terrorism in Argentina and the trials of its former military leaders for crimes against humanity. Voices from Silence is widely acclaimed as the definitive book about the “disappeared” in Argentina, a country where Unger travels frequently and maintains close personal and professional relationships. Unger has also published a collection of short fiction, Looking for War and Other Stories, which made the Amazon.com ranking of the top twenty books of short stories. 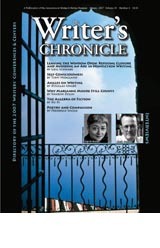 New fiction and essays have appeared in “Boulevard,” “Southwest Review,” “The Writers’ Chronicle,” and “Carve” magazines, in the collection West of 98: Living and Writing in the New American West, and in the Ecco Anthology of Contemporary American Fiction. He recently completed a long novel set in Las Vegas titled Dream City, currently in submission to publishers by Irene Vilar and the Vilar Creative Agency, an innovative non-profit venture representing a literary activist community of writers from Latin America and the United States. Doug Unger has become well-known as a teacher of creative writing and as a person of letters who contributes to literary activism and the global literary community. 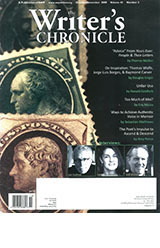 His essays on topics relevant to teaching creative writing are increasingly being used in classrooms, two of which are posted on this site and available for use: “Angles on Dialogue” and “On Inspiration: Thomas Wolfe, Jorge Luis Borges, Raymond Carver.” Unger is a long-serving member of the executive board of Words Without Borders, and the board of Point of Contact/Punto de Contacto. For more than a decade, he has been active as an advisory editor for The Americas Series, currently with Texas Tech University Press, and he recently joined the board of the Americas for Conservation and the Arts. He is a graduate of the University of Chicago and the University of Iowa Writers’ Workshop, and is a co-founder of the M.F.A. in Creative Writing International program and Ph.D. with Creative Dissertation at the University of Nevada, Las Vegas, where he teaches. Doug also served for five years as Grants & Acquisitions Director of the International Institute of Modern Letters (IIML), and for two years as Interim Chair of the Department of English at UNLV, where he is currently a faculty member also affiliated with its internationally acclaimed Black Mountain Institute. His many awards include a Guggenheim fellowship, a Fulbright scholarship for Argentina, Uruguay and Chile, a fellowship from the Fundación Valparaíso in Spain, a State of Washington Governor’s award, a Nevada Board of Regents Creative Activities Award, and induction into the Nevada Writers Hall of Fame.